If you follow me on Twitter, you know that I just got back from 10 days in Vancouver speaking with companies about Creating Demand. I met and talked with CEOs and senior executives from a wide variety of businesses who are all taking up the challenge of moving beyond good to great with gusto. On my last night there, I had a terrific opportunity to take in a Vancouver Canucks game with one of the executives. He’d just begun a new endeavor for a major western-Canadian organization with the edict to build a powerful brand from the company’s resources. So in between goals, (the Canucks won 3-2 in an exciting game) we discussed how he may be able to do that. This executive came from the premium wine business, so we talked a lot about wine as well. Great wine is the result – not the process. There is not such thing as “wine-ing” (except when my kids do it, and it’s spelled differently) and there shouldn’t be anything called branding – a brand is an end, not a means. 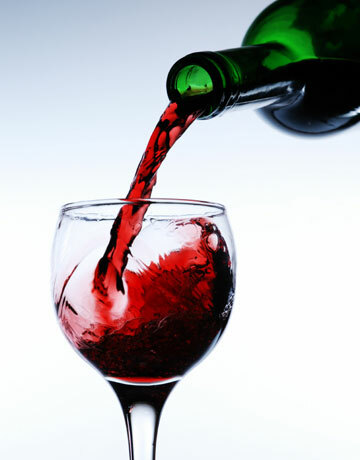 The people who drink the wine are ultimately the ones that decide what a great wine is. It is your customers, and the people who come in contact with you, who decide if you are a great brand. All the publicity in the world does not make a great wine. All the publicity in the world does not make your brand great. To be a great wine, the wine must deliver the goods. Just because the winery says the wine is great doesn’t make it great. Just because your website says your brand is great doesn’t make it so. The most powerful marketing component for a wine is inside the bottle. The marketing component that actually drives and creates your brand lies in what you do and/or deliver, not in your advertising, brochures, or logo. Wines have good years and bad years, and while good years help, great wines find a way to be great regardless of circumstances. Great brands deliver regardless of circumstances. When a great wine becomes popular and the producer or bottler tries to exploit it by ramping up production to “sell more,” the wine inevitably loses its aura, its specialness, and it fails. When businesses start getting traction and they exploit their brand to drive short-term revenues or profits, the brand loses its authenticity and inevitably fails. As anyone who enjoys wine knows, it takes a certain amount of time for a wine to gain its flavor, and you can’t short circuit that time. If you open a wine “before its time,” you lose. Building a company that becomes a great brand takes time and you have to give it that time. Great wines age well. It’s not about being the first, it’s about being best. Great brands age well. It’s not about being the first, it’s about being best. What do you think of these lessons? Do you have any to add?